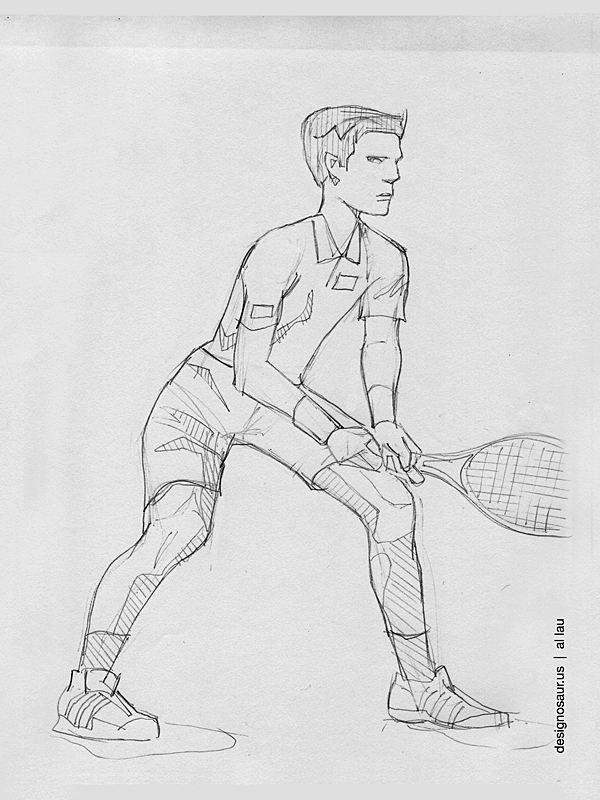 My drawing today is of a male player in receiving stance. Even though the weather is getting colder, I can’t stop thinking about tennis. In fact, I continue to play indoors when possible. 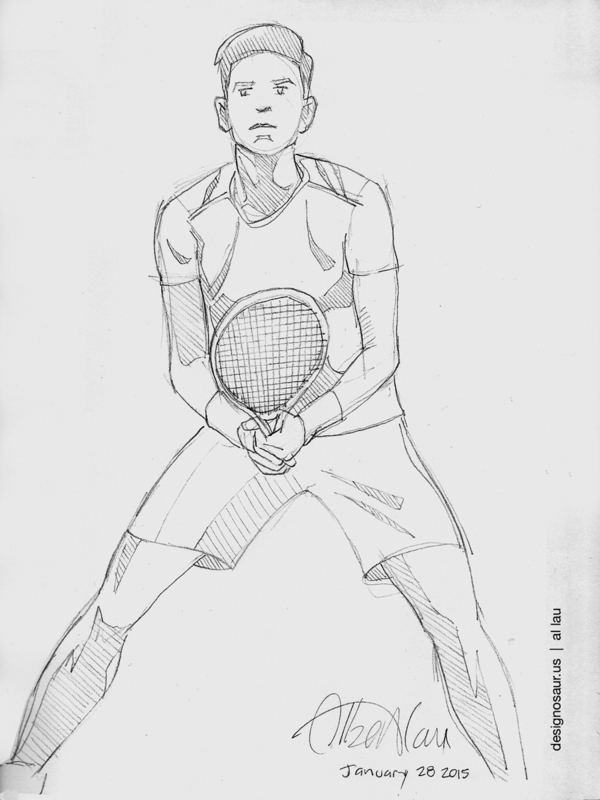 Besides, tennis players make awesome figural drawing subjects. The Barclays ATP World Tour Finals is happening now, from November 15 to 22. It is the last big tournament before all of the players take much needed rest (for a only month) until the season begins again in the new year. Jeez, tennis players are the hardest workers in sports. Their entire season lasts 11 continuous months. Once they finish a tour in one country, they are off to another country. On the plus side, it is an awesome way to see the world. The Australian Open was filled with early upsets with likes of Federer and my favorite, Nadal. Both top seeds have well-rounded games, but sometimes, the player with the faster and flatter serve will be the one to advance. It’s hard to imagine being on the receiving end of a 125+ MPH serve. 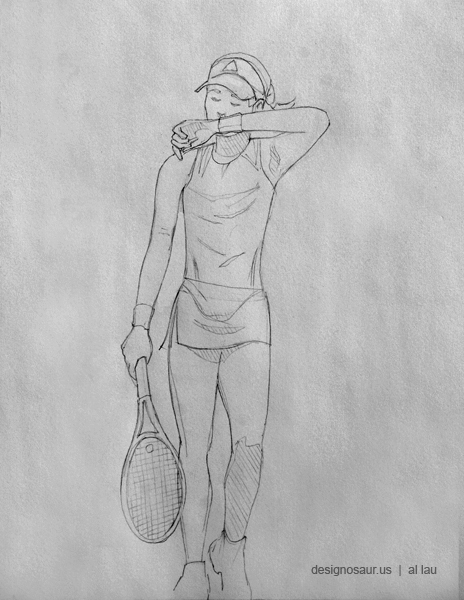 Today, my drawing is a player who is about to receive one of those mega serves. 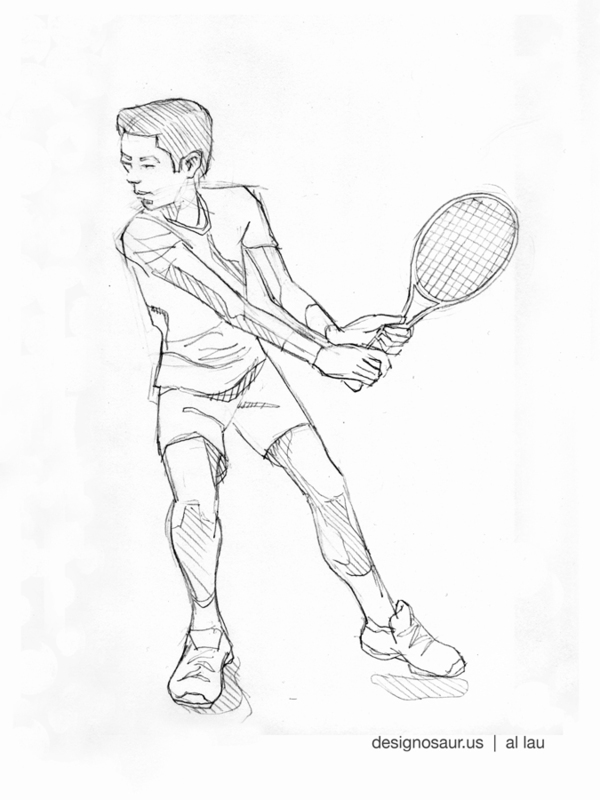 This is my figural drawing of a two-handed backhand stance, arms pulled back, ready to thrust forward to hit the ball cross court. Mark your calendar, tennis fans, the Australian Open is coming. The sport event is happening from January 19 to February 1.